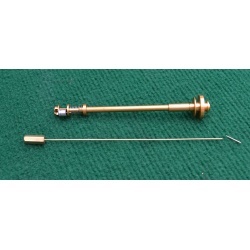 Repair tools for the Jaeger LeCoultre Atmos clocks model #2, 519, 526, 528. If you use a Microset then this product is for you. This leather buff stick is excellent for polishing the roller on all models of the Jaeger LeCoultre Atmos clock. 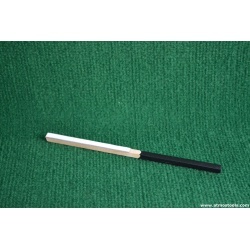 The buff stick is 8" ;png and 1/4' wide has a leather face, just add rouge and it is ready to go. 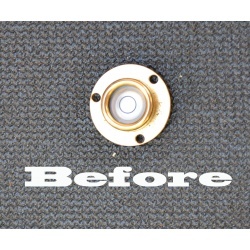 The rubber coated handles gives you a sure grip during polishing. This kit includes a new bubble level, cement and instruction for repairing the bubble level in the 540, 560 and later model 528. 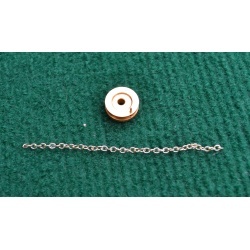 If your clock has 3 screws that hold your bubble in then this kit will work on it. 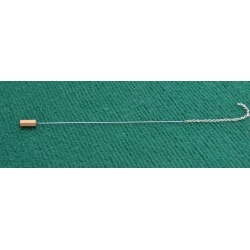 If you repair the Jaeger LeCoutre Atmos clock model #2, 519, 526 or 528 than this tool is a must have. 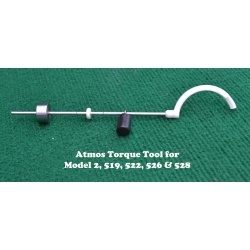 This tool was made to measure the torque of the mainspring so that it can be wound up to the required specification. If the clock is not wound to the proper specification it could either stop, run erratic or rebound from being overwound. Stop the troublesome returns by making sure the clock is wound to the proper specs before it leaves the shop. This tool can also be used when a clock comes into the shop to test the torque on the mainspring to verify the bellow is working correctly and keeping the clock wound correctly. 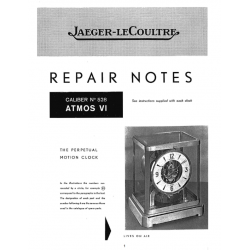 Included in the sale is a FREE copy of the Jaeger LeCoultre 528 Repair Notes. The torque tool comes with a 1 year limited warranty. 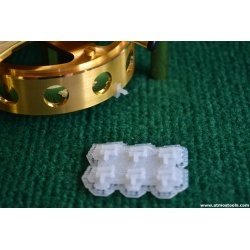 If your clock is missing one or more of those rubber feet used on the Atmos mode#2, 519, 526 or 528 than these are just what you are looking for. Don't mar up the nice furniture replace those missing feet with these. They come in a set of three and all you need to do is add a small amount of glue to the bottom of the new foot and press it into place. 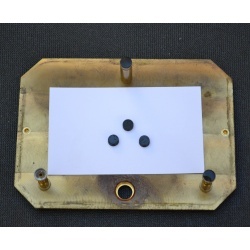 This sensor flag was designed to be easily installed and removed from the Atmos pendulum so you can time out your Atmos clock. This small nylon flag slips onto the bottom of the pendulum and will trip the Microset optical detector. These flags comes 6 to a pack and are attached to their base until needed. This 10 page booklet is a must have for anybody planning on working on the Jaeger LeCoultre 526 or 528. The booklet give you the specifications for repairing these clock as well as some detailed pictures. The last 4 pages are pictures and part numbers for the model 526 and 528. This mini regulator adjuster tool works great for adjusting the regulator back to center. 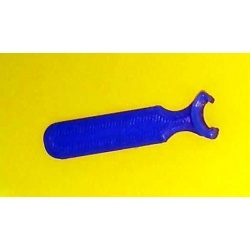 This small tool is easy to use, instead of adjusting the regulator from the front and trying to work around the tool this tool works from the back and allows easy access to the regulator. Made of high impact PETG this tool will last for years.